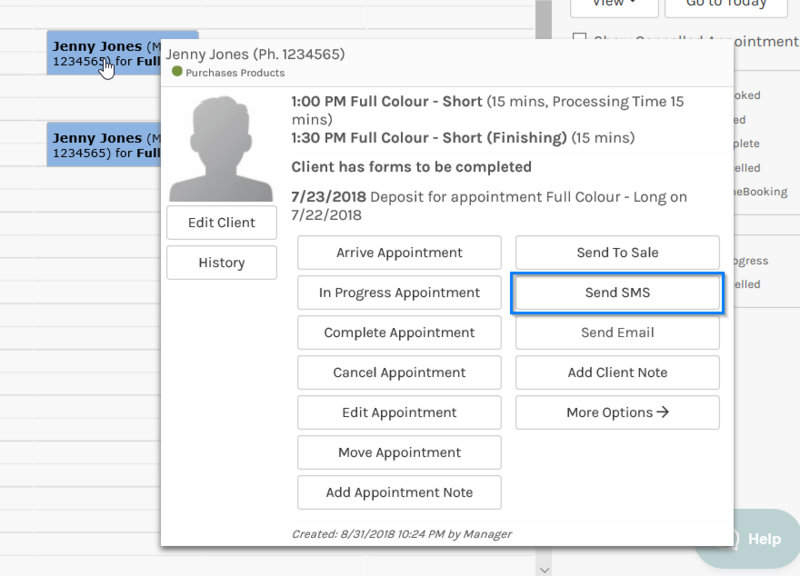 You can now send SMS messages directly from the Appointment screen, this is very useful for sending out manual SMS reminders or follow up reminders. If you have enough SMS Credits and your client has a mobile number then the Send SMS link will appear on their appointment block as shown below. To send an SMS message click the Send SMS option. 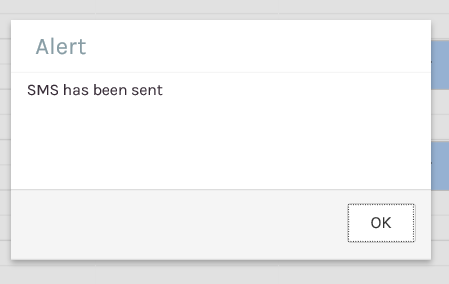 A popup window will appear and a message that defaults to the reminder for that particular appointment. You can change this message if need be. Click the OK Button to send the SMS message. The system will alert you when the message has been sent. Click the OK button to close the alert. 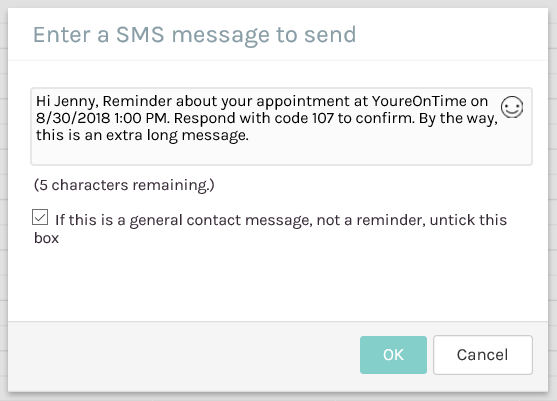 If you have already sent a reminder (Automatic or Manual) for this appointment, a message will be displayed to let you know when the last SMS message was sent.